Decatur, IL — Decatur fire was called out to the corner of Edward in Grand St of a car fire a little after 10:15pm on Wednesday March 28th. 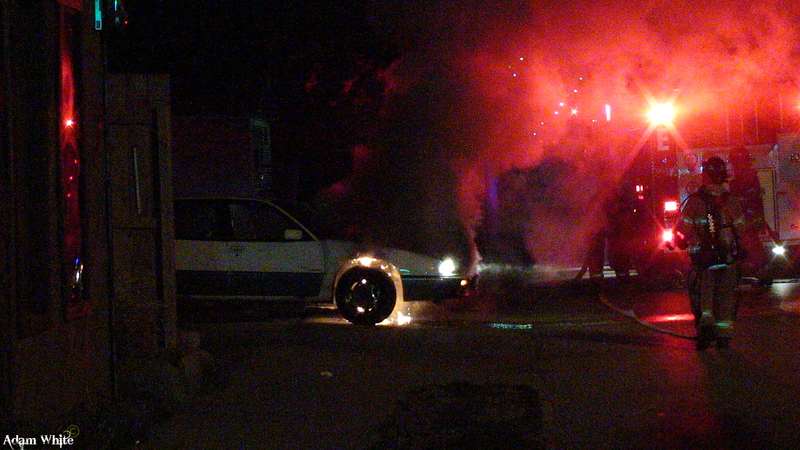 Unknown how the fire started but no one was hurt and the car is a total loss. Photo and video owned by Adam White.